Smiles and building relationships have replaced paper and pen at Shringar House of Mangalsutra. Let’s find out how the most renowned Mangalsutra jeweller manages to serve a large number of Order bookings within a short timespan by streamlining their daily operations using RFID. 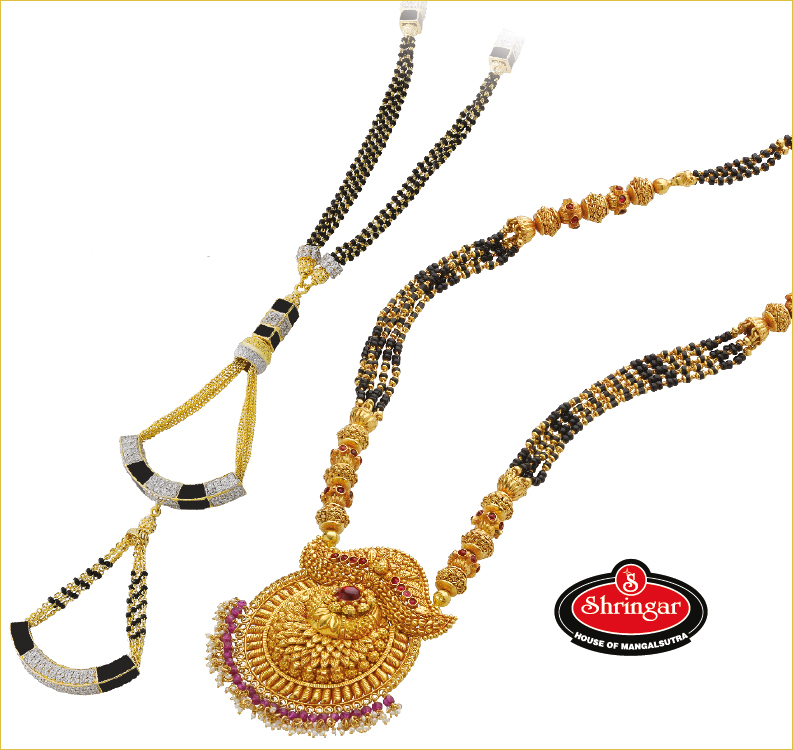 Shringar is known fondly as ‘The House of Mangalsutra’ by its clientele for their array of design exclusivity in the realm of Mangalsutra. Mr. Chetan Thadeshwar and Mr. Viraj Thadeshwar share with us their views on evolving businesses and the need for smarter and more efficient operations. With demand increasing in exhibitions and daily wholesale operations, their focus turned towards finding a solution that can assist with automating the mundane and time - consuming tasks, as well as overcoming existing challenges. By implementing Tagit Ice - an RFID based solution by Tagit, Viraj shares his feedback on the impact RFID has made to his business. Can you share some of the common challenges that are a part of daily wholesale operations? Viraj : In the jewellery industry it is very common to have human errors due to the manual methods we use to calculate orders. While these errors have a huge impact from a financial perspective, one could never avoid non - tangible loss of valuable time. 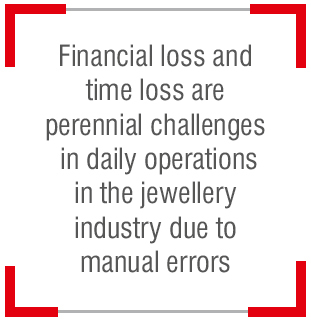 With errors, the need to repeat inventory take and stalling operations are 2 major concerns that the jewellery industry has historically faced. Since this is a wholesale set up, customers mostly choose a variety of Jewellery patterns in large quantities. The challenge is to ensure the selection list of each model and its respective quantities get captured with accuracy and then manually billed before the final invoice gets printed. This usually takes time and a consequence of this can be that more focus goes on ensuring the correct numbers are captured rather than servicing customers. Solutions like ‘Tagit Ice’ put an end to these challenges and pave the way for accurate inventory management and, most importantly, help improve the customer experience. How did the idea of implementing Tagit’s RFID solution come to mind? Viraj: When we were brainstorming ways to speed up day to day operations we thought of RFID as a possible solution. In the same way as we are masters in mangalsutra, Tagit are the experts in RFID solutions. This has been demonstrated time and again by the use of Tagit’s proven solutions across the jewellery industry. We realized our demands can only be fulfilled through a synergy between us and Tagit, and the results have been amazing. Using the TCB (Tagit Consignment Box) scanner helps in the generation of bulk quotations, invoice creation and consignment check at the click of a button. The process is so user friendly that customized selections, color or model preference and item specifications can all be done within seconds with zero errors. Tagit Ice also gives a picture of the overall invoice value and provides us with accurate data of the client’s final selection. Additions or removals happen so instantly that all it takes is to remove the items within the vicinity of the scanner and it automatically reduces the overall billing calculation according to the rescanned items. Profit depends on the net and gross of a specific item sold in the jewellery industry. There are strict internal metrics that can be used to substantiate the annual growth outcome. With Tagit Ice, we have found the much needed, faster, way of managing inventory to increase our end results. Could you share with us some of the significant changes experienced after implementing Tagit Ice? Viraj: The quotation and invoicing processes have changed dramatically and our clients no longer have to wait for bills to be generated. Now that we use the TCB, we can concentrate on customer experience and satisfaction. Our inventory reconciliation is now easy and we’ve seen a drastic reduction in the amount of time previously spent. We have evolved from our sales processes traditionally being manually driven to technology driven. The implementation of Tagit Ice has also successfully reduced our error ratio. Our billing process has been transformed and, even during exhibitions, the order management is completed in seconds regardless of the number of items involved. We had an overwhelmingly positive response from the management and staff, who were impressed with the automation in quotation preparation and invoicing. Viraj: Unlike other companies, Tagit RFID Solutions tries to understand the needs and challenges of its client to provide a customized solution that delivers. Tagit Ice is available with an array of scanners that are designed to provide the maximum amount of required data in the minimum time. In traditional bulk item counting, our staff rely on manual methods and handwritten vouchers, which make it very difficult to cope with the higher levels of demand experienced in the fast-paced worlds of trade shows and exhibitions. Thanks to Tagit Ice, we no longer have to make our customers stand in a queue when creating quotations. The items get captured instantaneously, allowing our staff to focus more on our customer’s experience. We are very happy with Tagit’s after-sales support and always get assistance when required. We highly recommend other retail jewelers and wholesalers to make Tagit Ice a part of their businesses as it has helped us overcome routine operational issues, which has had a direct positive impact on our growth as a business. As the demands of the industry and customers evolve so should the operational processes and methodologies. Implementing RFID based inventory management will ensure that none of the jewellers and wholesalers will be left behind.